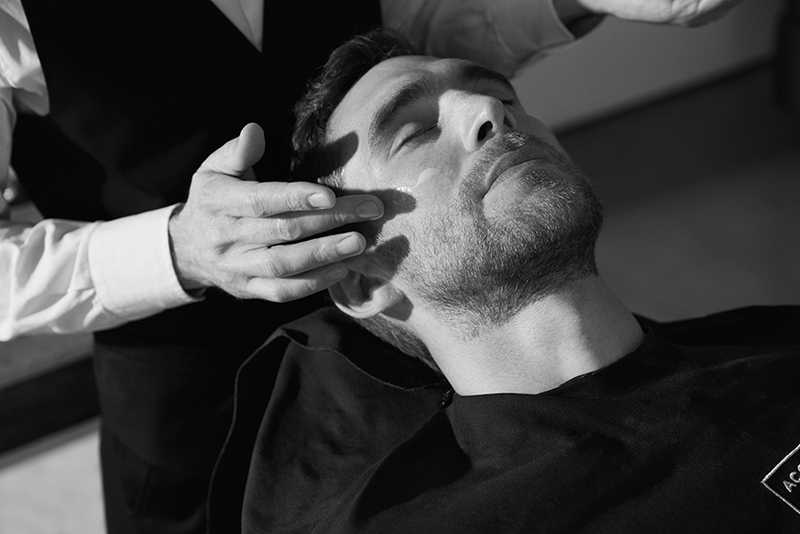 Acqua di Parma has developed new formulas designed to cater for every stage of the shaving routine: shaving, after shave, beard care and facial treatment. The products are easy to use and functional and a sensory pleasure, with light & fresh tones of Cologne. The shave oil is dual use, for shaving and pre-shaving and is a refined combination of kind to the skin oils with a rich, light consistency, formulated with a blend of pomegranate oil, lemon oil & basil. It softens the shortest and toughest of hair and is excellent for pre-shave, for which you should use the soft shaving cream. The cream helps to prevent irritation and reddening caused by the razor passing over the skin. The shaving gel also boasts a quick lather for a speedy and impeccable shave. After care is provided via the refreshing after shave emulsion, and there is even a beard wash and serum, specifically formulated for beard care. The clay face mask is the perfect finish to the skin care routine and is specifically created for male skin. Explore further at Acqua di Parma.